Beatrice Dautresme’s long relationship with L’Oreal dates back to 1972, when she joined the company’s marketing department. Since then, she has risen through the ranks of the world’s largest cosmetics and beauty company, taking on roles that have spanned operations, business development and management in the consumer products and luxury products divisions, across various markets. Her roles have included being vice-president and general manager of L’Oréal Cosmetics in New York, before returning to France in 1989 and being named general manager of the Helena Rubinstein brand. From 2000, Dautresme was placed in charge of L’Oréal’s strategic development, joining the group’s management committee and becoming executive vice president. In 2005, Dautresme became head of global corporate communications and external affairs. 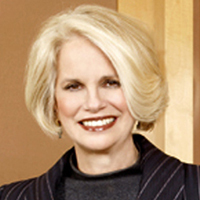 L’Oreal has faced several reputation challenges during her tenure, including issues around its advertising and recruitment practices. Dautresme is also a Chevalier in France’s National Légion d’Honneur.